NCAA basketball. The Garden City bomb plot trial. A very important election. Here, we look back at the stories that shaped the year. The NCAA Men’s Basketball Tournament was a huge event for Wichita, but getting inexpensive tickets wasn’t easy, especially with the KU Jayhawks playing here. Wichita finally opened its new Advanced Learning Library in June after more than 10 years of planning and two years of construction. Technology upgrades are part of every area in the $38 million building at 2nd and McLean. Reporter Deborah Shaar has followed the library story for several years and reported on just about every milestone in the process. The biggest part of the move from the Central Library downtown involved transporting and shelving nearly half a million books, magazines and other materials. We had been hearing so much about the opening of the Advanced Learning Library this year, I wanted to report on what it takes to actually do the move from the Central Library to the new one. I met with the moving company and followed a crew throughout the new library to see the relocation process. Getting all the materials in the exact places takes a lot of planning. 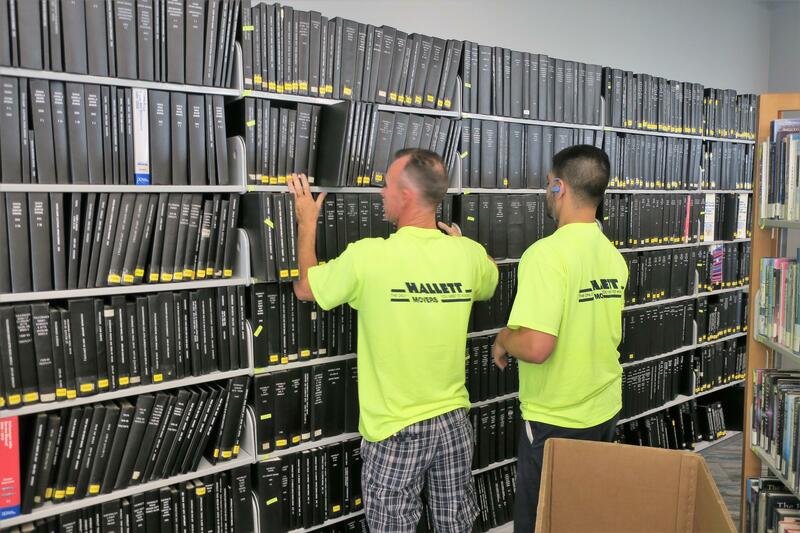 I was impressed with the organized system they had for unloading and re-shelving materials. Mark Shelton was a driving force in Wichita music. 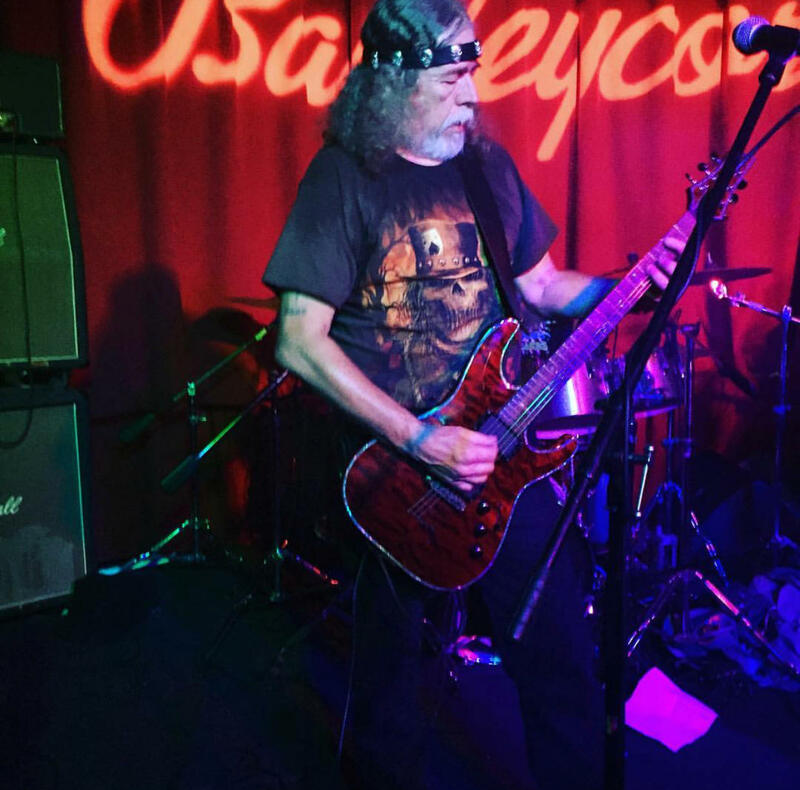 His death earlier this year was a shock to the Wichita rock community and to his fans around the world. Mark was a generous person whose encouragement was especially important to me. 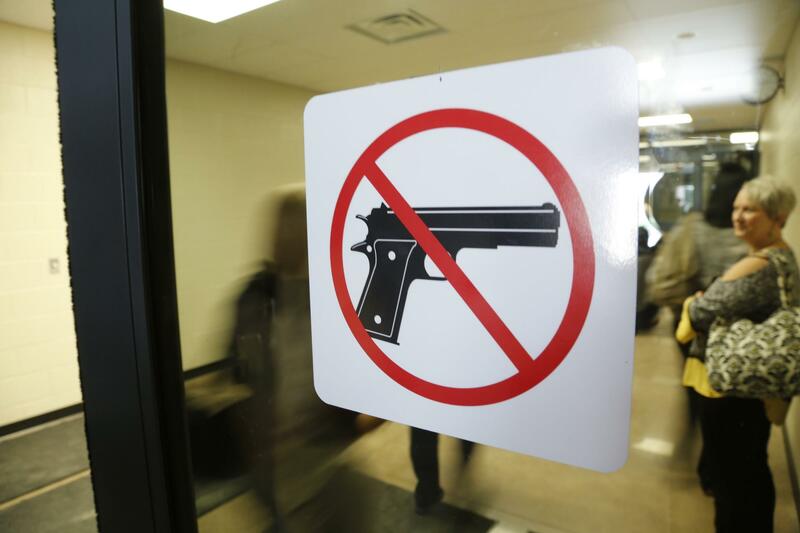 After a nearly month-long trial in federal court in Wichita, Gavin Wright, Patrick Stein and Curtis Allen were found guilty of conspiring to use a weapon of mass destruction. 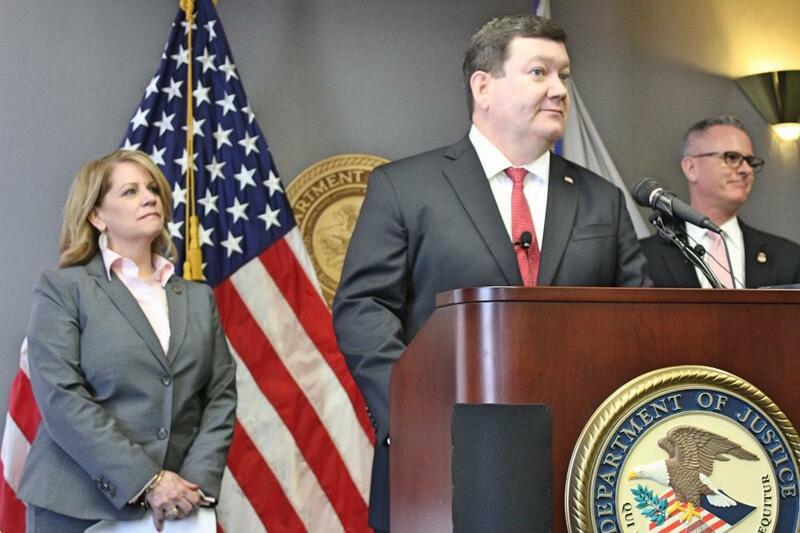 The men were arrested after an FBI investigation into their militia group uncovered a plot to bomb a a mosque and apartment complex in Garden City home to many Somali immigrants. "Now that they've been found guilty, there can be some ease and some peace of mind," Finney County Sheriff Kevin Bascue said Wednesday. "But I don't think this community will ever forget." The men are still awaiting sentencing. The National Memorial for Fallen Educators in Emporia lacking the space to add all the educators we lost recently illustrates the scale of the tragedy we've been experiencing on school grounds. 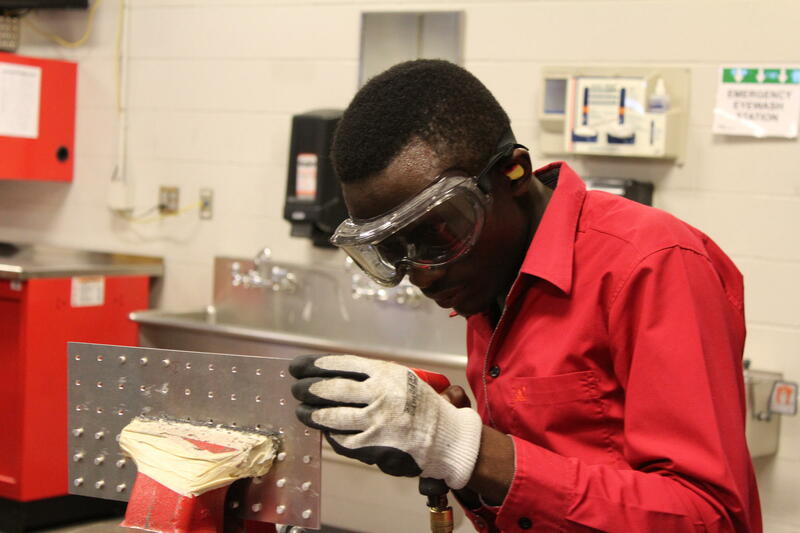 WSU Tech's Wichita Promise scholarship program isn't new, but its partnership with St. Francis Migration Ministries is: The school and refugee resettlement agency are helping guide refugees to fast-track, low-cost courses in subjects like sheet metal composition, and connections with local employers once they've graduated. Julius was so generous to share his story, even if at times it seemed difficult or unpleasant to talk about. (He was also very patient as I took pictures of him for about an hour while he was busy on his sheet metal work!) He is such an interesting, bright young man, and it was a pleasure to get to meet him. 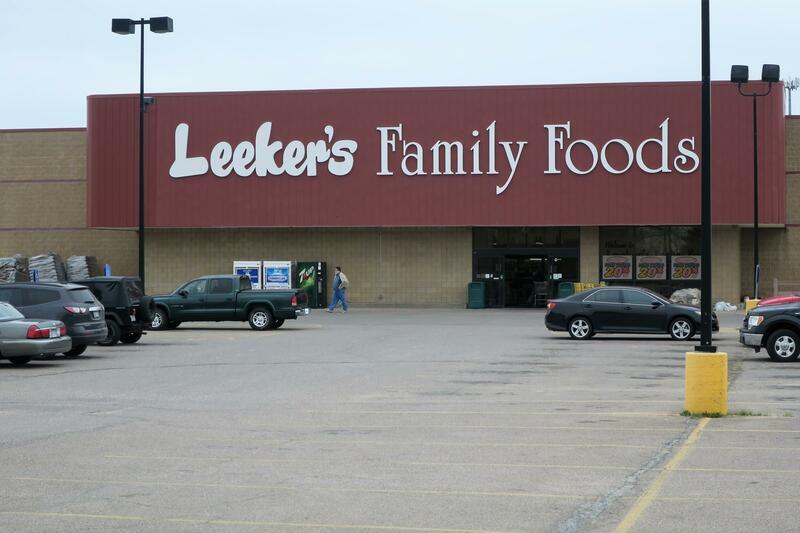 Valley Center’s only independent grocery store, Leeker’s Family Foods, closed in April. The store was not only a place to buy food, but it also served as a community hub for the past 50 years. Reporter Deborah Shaar wanted to know how the community would handle the loss, and what was next. Regular customers were quick to tell me their memories about Leeker’s. It was the place where kids got their first jobs; where managers and owners knew customers because they were always in the store; and neighbors would catch up while waiting in the checkout lines. The family-owned store was prominent in the community. Harmful blue-green algae has become a major problem at reservoirs across the state. The toxic “pond scum” can get people and animals sick, closes lakes to recreation and smells. 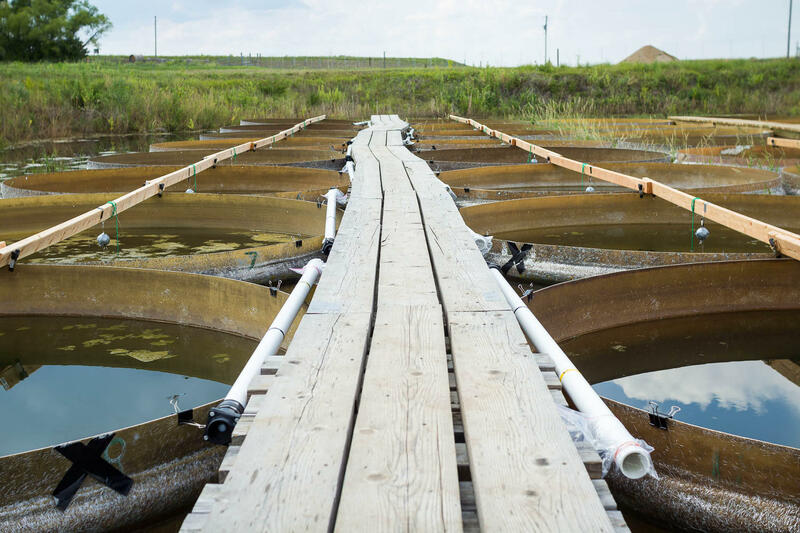 But a researcher at Kansas State University has created the largest experiment of its kind in an effort to grow his own toxic algae and better understand what’s behind its extreme growth. There’s something that’s intriguing about a scientist growing large amounts of an unwanted substance in the pursuit of trying to eliminate it. As a reporter, I’m always fascinated by people trying to solve problems, especially in grand and creative ways like this experiment at K-State. It makes me aware that there is so much knowledge out there about topics you’d never begin to think about or be interested in until you start having a conversation with someone who really cares about it. Could Remains Of Missing Soldiers From North Korea Include Kansas' Father Kapaun? Our improved relationship with North Korea could lead to the recovery of the remains of Father Emil Kapaun, who grew up in Marion County and died in a POW camp during the Korean War. 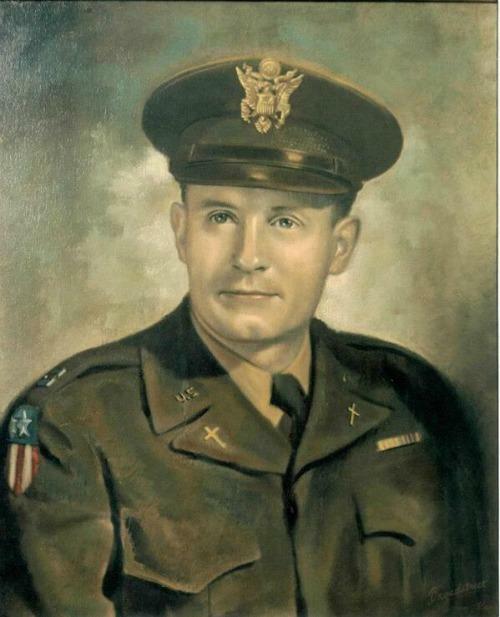 Kapaun is a Medal of Honor winner and a candidate for sainthood in the Catholic church. This 30-minute documentary includes the voices of those who took part in the historic 1958 Dockum sit-in right here in Wichita, Kansas. I don’t think there is anything better than hearing the actual participants share their experiences. 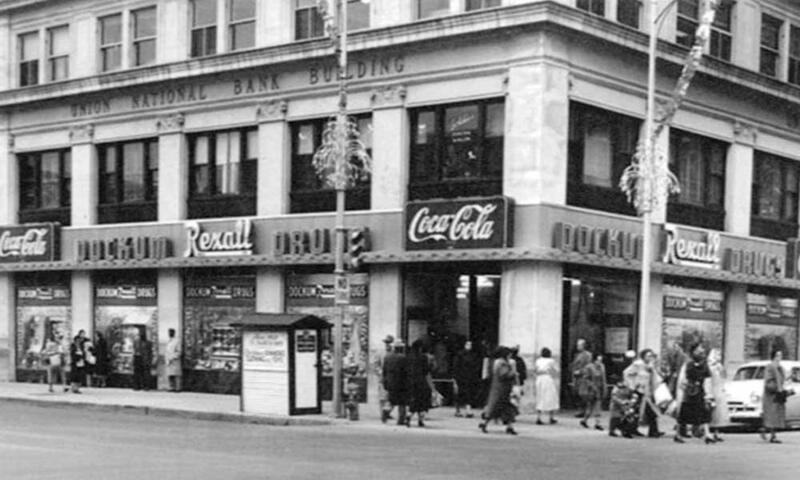 Historian Dr. Gretchen Eick says the teenagers' success in persuading the drugstore chain to desegregate all of its stores in Kansas set a precedent. Eick says the Dockum sit-in was a strategy that would change the way business was done in the United States. Employees from the Cosmosphere space museum in Hutchinson worked the past year to recreate one of the biggest moments in our nation’s space history: the mission control room used during the first moon landing. 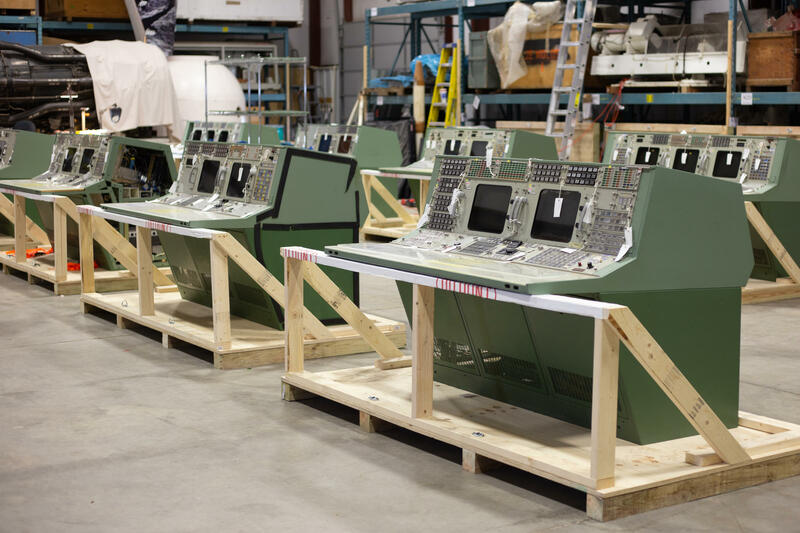 Specifically, the team at SpaceWorks, a division of the Cosmosphere, are updating the famous control room consoles piece by piece. They will finish up the project in spring 2019 in time before the 50th anniversary celebration next summer. It was so interesting to see the mission control consoles and the pieces that would go into the restored version. I appreciated how the SpaceWorks crew paid attention to every little detail to make the equipment look historically accurate and functioning. This Halloween story had a bit of a twist: The youth didn’t ask for candy. 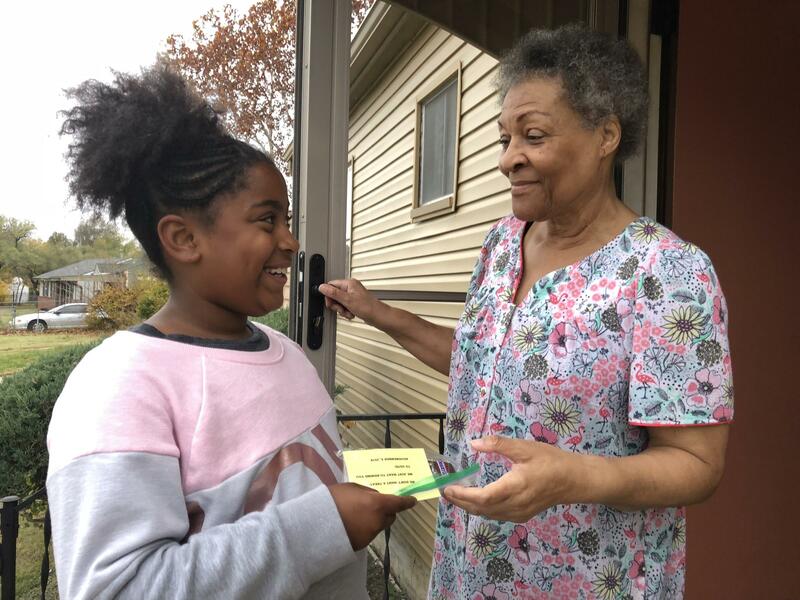 Instead, the young people were knocking on doors encouraging residents to vote! 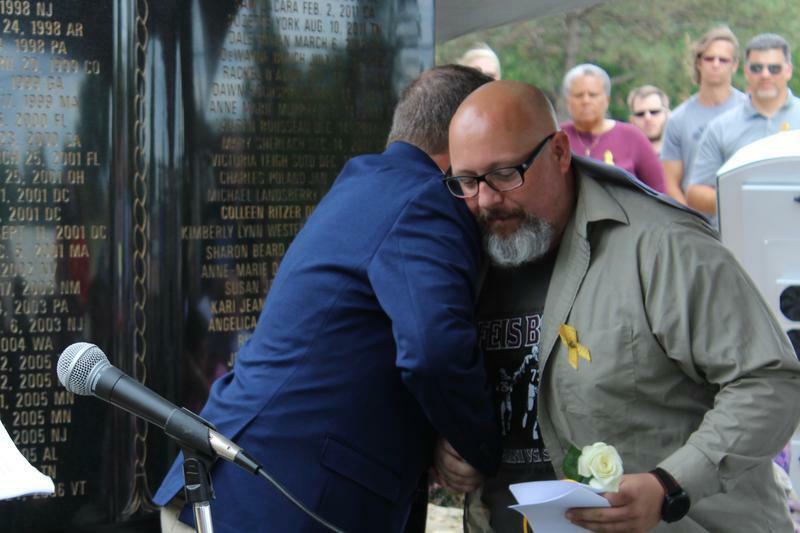 The story aired locally on KMUW and on stations across the nation. The story caught the attention of the Sedgwick County Democratic Women organization. The group will honor the Wichita NAACP Youth Council with the Kathleen Sebelius Community Project Award. The recognition includes a check and letter from former Gov. Sebelius on Jan. 10, 2019. 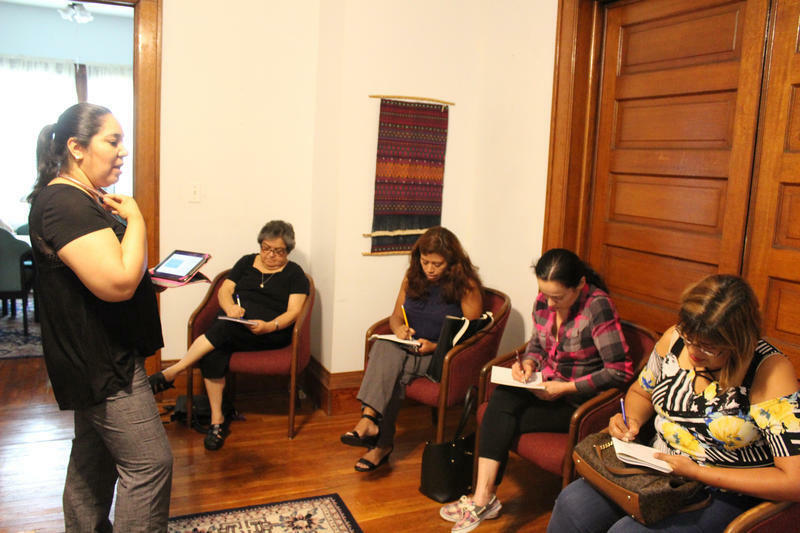 Carla Eckels spent the afternoon with a group of Hispanic women learning about the voting process — and how to teach others about it as well. I was especially intrigued when I heard about workshops being conducted to help get Spanish speaking people get to the polls. There was such a passion from the participants, some of whom could not vote themselves but felt compelled to teach others about the political system and how elections work. 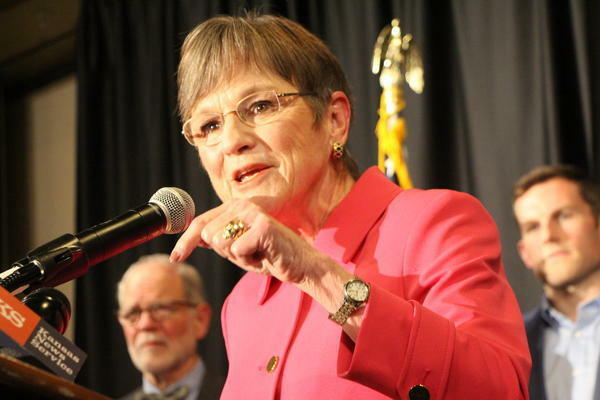 The Democratic state senator fended off perhaps the most energizing and divisive figure in politics to become Kansas' next governor — but she'll have to work with a more conservative Legislature. This was the first story that I collaborated with Suzanne Tobias, a reporter with the Wichita Eagle, to report. That gave us an opportunity to utilize her long experience covering the school district to shape the story and to experiment with how we would present the story on the radio. Watch Stephan and Suzanne's conversation about their work together on Facebook. As the 100th anniversary of the end of World War I approached, we told the story of one of the 9 million soldiers who died in the Great War: news director Tom Shine's great-grandfather. 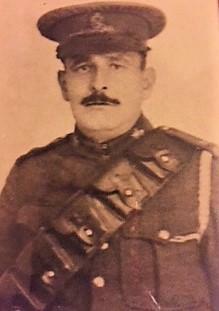 Using official military documents from the Library and Archives Canada, I was able to fill in the gaps of the stories I heard when I was growing up about my great-grandfather, Harry Knowles. And the fact that I had met his widow when I was a child helped reinforce the notion that we often brush up against history without even knowing it. 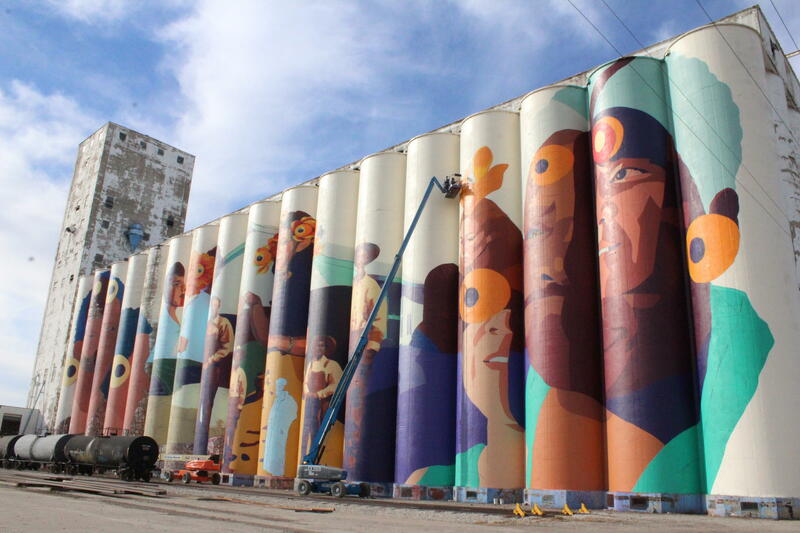 The completion of the massive mural on the old Beachner grain elevator on 21st Street marks the end of the Horizontes project, which aimed to unite Wichita’s historically black and Latino neighborhoods.